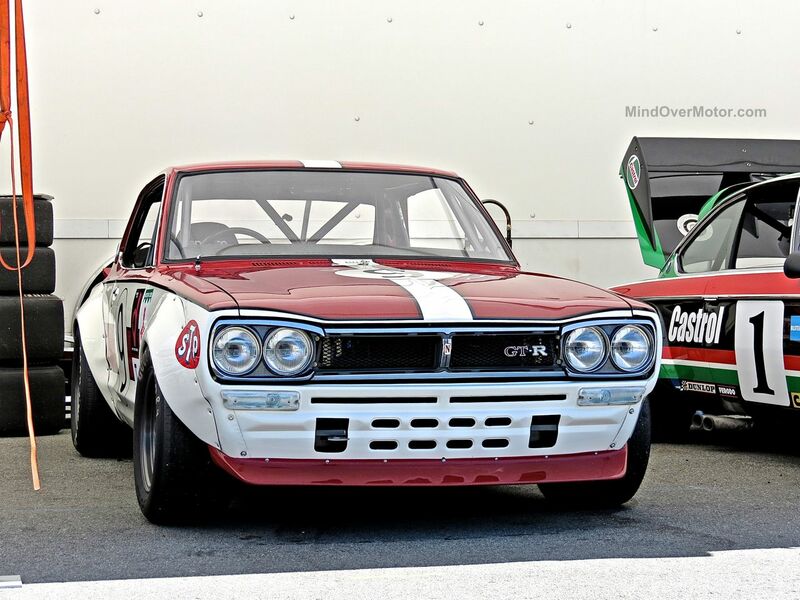 Arguably the holy grail of classic Japanese cars, this Nissan Skyline 2000GT-R “Hakosuka” Race Car is so “O.G. JDM” that I can barely contain myself! This was the first generation of Nissan Skyline GT-R, and a far cry from the modern R35 Nissan GTR. 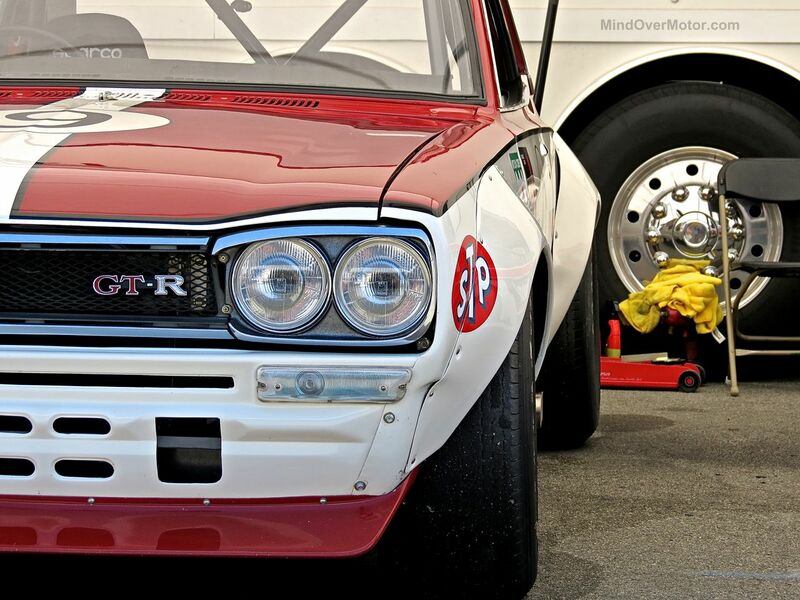 The “Hakosuka” Skyline 2000GT-R was extremely successful in racing, with over 50 victories in just 2 years. Then, in 1973, the Mazda RX-3 took the Skyline’s crown as top dog on the Japanese racing circuit. “Hakosuka” Skylines are really gaining in value now, with a road version selling the same weekend at the RM Auction for $242,000. 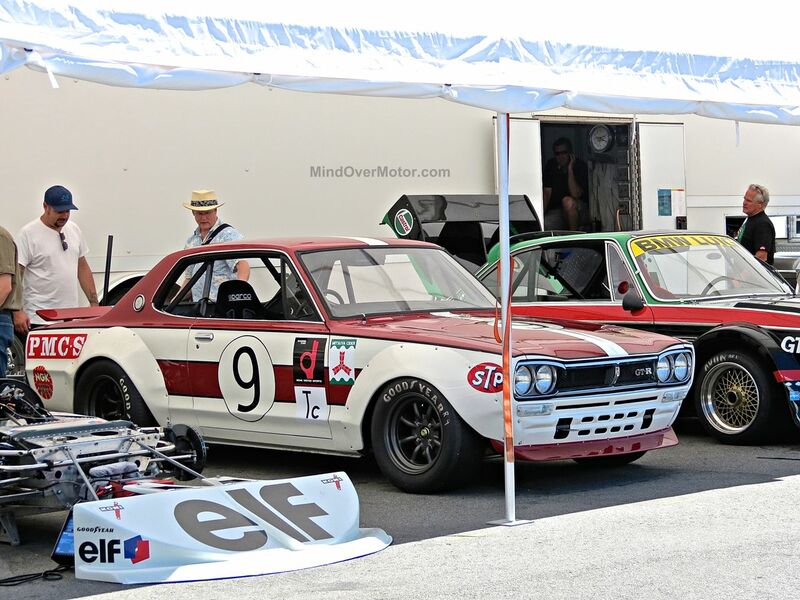 We saw a few other classic Skyline GT-Rs in Monterey this year, but this racing car in the pits of Laguna Seca really stood out for us. Along with the Toyota 2000GT, this is classic JDM royalty!